A complete digital recording studio, now available free for download. 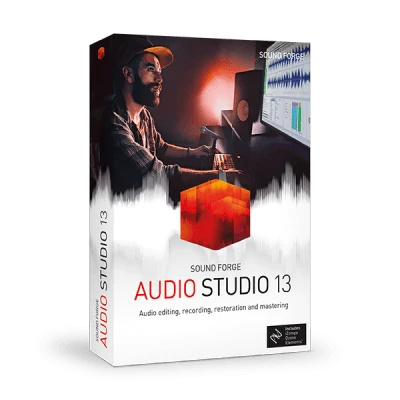 The free trial version of SOUND FORGE Audio Studio lets you discover the ideal tool for recording, editing and adding dynamics to music and sound. Digitize, repair or restore rare LPs and tapes and create your own podcasts and karaoke tracks. SOUND FORGE Audio Studio is maximized for all kinds of audio projects. Recording music from almost any source is simple with SOUND FORGE, which also includes classic tools and plug-ins to enable you to finalize your tracks. To finish, burn your audio to CD or convert to all standard formats. Over 30 integrated audio effects and an impressive range of plug-ins for modifying audio data. These cover all bases from sequential editing to pitch correction and modulation.